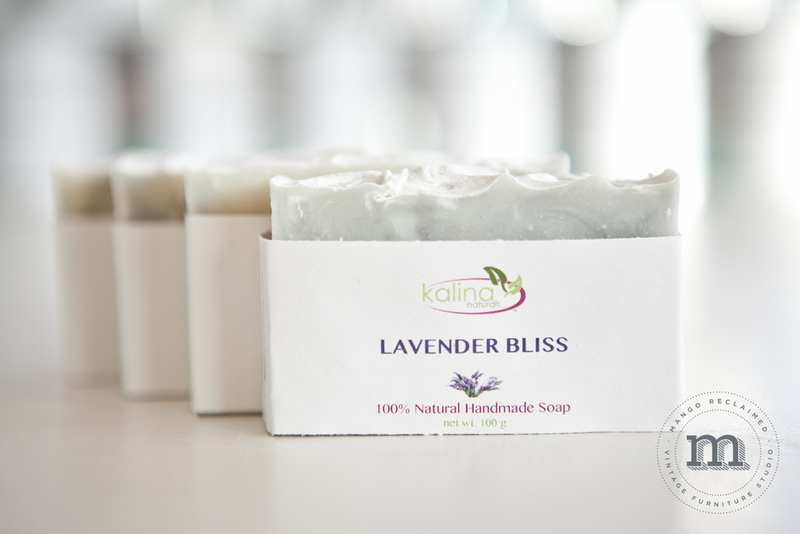 I am so excited to let you know that Mango Reclaimed is now carrying beautiful handmade soaps by Kalina Naturals. All of these soaps are handmade by my sweet and talented friend Marta - who lovingly produces 100% natural, eco-friendly, pure and luxurious, handmade soap and skincare products. Her company believes that the path to happiness can be found by keeping things simple, holding a deep reverence for nature, and by following our bliss. . .
Oh, and did I mention they are also beautiful and smell delicious? All soaps are $5/ea and come in an array of delicious scents (or try the 'honey oat' if your looking for unscented). 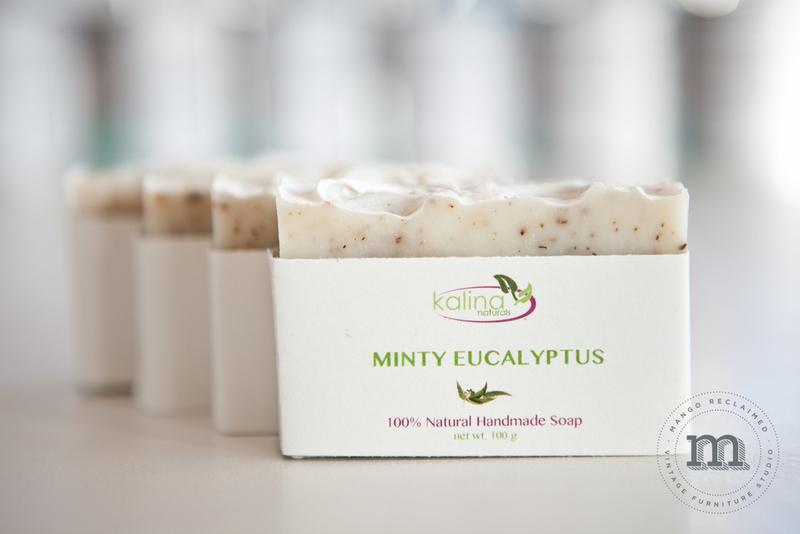 In addition to these lovely soaps we are also carrying Kalina Naturals bath salts. Who doesn't want to relax in the aromatherapy of a warm bath after a long day painting furniture . . . I think we should all indulge a little more often. 100% natural bath salts are $8/bag. These soaps are perfect for everyday use at home, great as gifts and will keep guests smelling clean and fresh up at the cottage. Enjoy! Hardware for those who love to DIY. Things are happening fast and furious over here. I have lots of exciting things to share with you in the next little while. . . For those of you who have signed up to follow my blog posts - thank you! I'm truly honoured that you have chosen to stay connected with what is happening at Mango Reclaimed! I just love to DIY and I'm sure that some of you do as well. The goal at Mango Reclaimed is to work together. 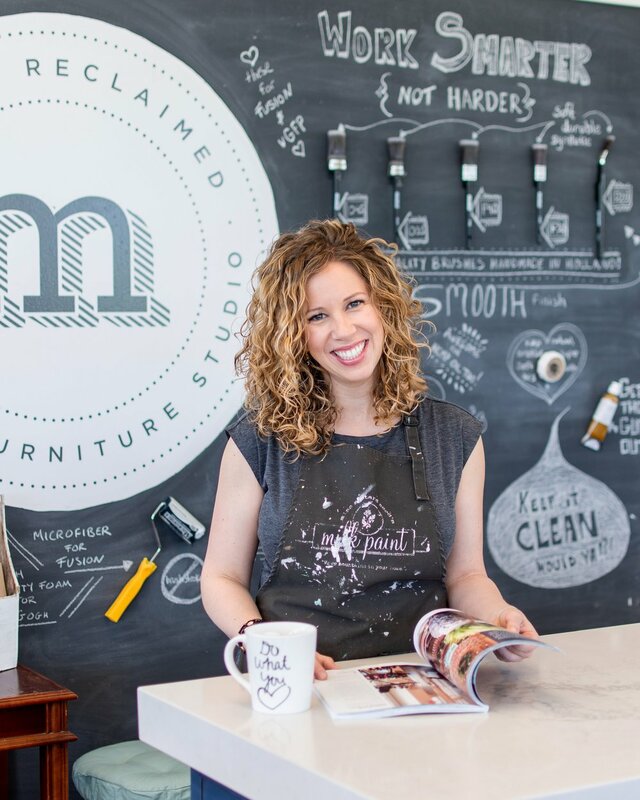 I can refinish furniture for you or I can help you to get through the project yourself. If you're not sure how you want a refinished piece to look send me an e-mail and I would be glad to send you some ideas to get your creativity flowing. You may have noticed that a new section has been added to the Mango Reclaimed website! Check out 'our products' to see a selection of beautiful hardware available for purchase. These lovely pieces will help add the finishing touch to any furniture item or pre-existing cabinets, vanities etc. . . .
Do you have any furniture that could use a hardware facelift?